There are 3 reviews of Outrecuidant. Spicy and someone ozonic/marine notes for me in the opening. Strange juxtaposition. Rose is hushed by oud, but that isn't necessarily a bad thing. Agree with speedracer in regards to the dryer sheet notes of the 'free and clear' variety. Mellows and rounds out nicely and has punchy longevity power. This is not one I would wear myself, but I would love to catch a hint of on another. Smelling this up-close is just another unisex dirty oud-rose combo. But unlike those others you've already smelled, when you catch this in the air, it's fresh and sweet, somehow. The fresh almost reminds me of a dryer sheet. A very interesting scent as I've never had an experience like this where it smells that different away from the skin, to my nose. Projection is good, it's strong enough to smell through your clothes with only spraying on skin and you won't need that many sprays. Also lasts all day, great performance. Outrecuidant which translated roughly means to think beyond. The fragrance is somewhat of a contradiction of contrasting parts and it is really difficult for me to describe the overall character of this fragrance. The opening ginger and cardamom has a slight gourmand feel which is warmed by rose and olibanum in the heart. 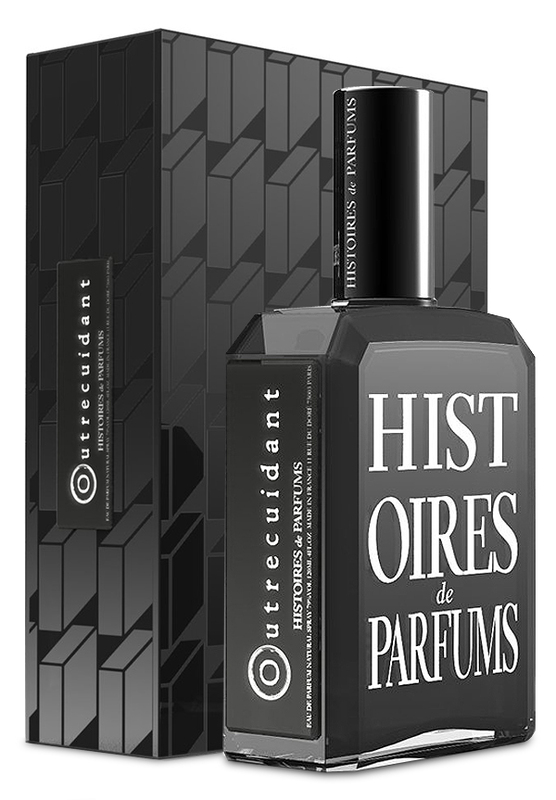 This leads into patchouli, tobacco and oud which is a dark hay barn, tobacco leaf with oud base that has all of its oud character blended out by these complimentary notes. The scent is a warm complex blend with slight influences from ginger, rose, patchouli, tobacco, oud, and cardamom. I really enjoy all of these notes, but to my nose, this one doesn't come together into a completed unique fragrance. It is a nice blend with little happening to object to but also not much to get excited about either. I would rate Outrecuidant 6 of 10 stars. There are no member images of Outrecuidant yet. Why not be the first?